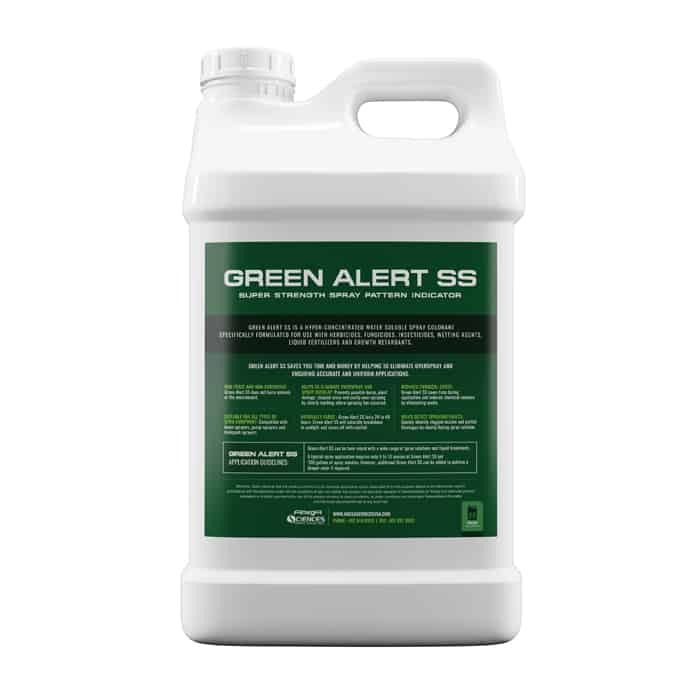 Green Alert SS saves you time and money by helping to eliminate overspray and ensuring accurate and uniform applications. 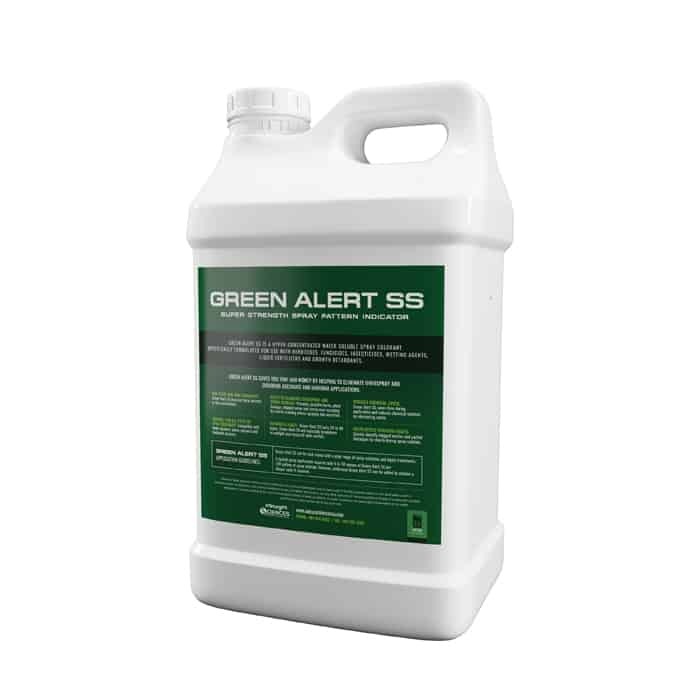 Green Alert SS can be tank mixed with a wide range of spray solutions and liquid treatments. A typical spray application requires only 6 to 10 ounces of Green Alert SS per 100 gallons of spray solution. However, additional Green Alert SS can be added to achieve a deeper color if required.